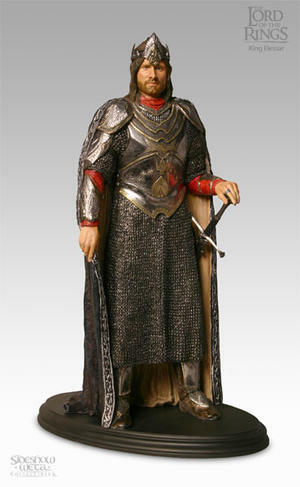 King Elessar is captured in this amazingly detailed 1:6 scale statue. It is hand cast in heavy weight polystone and hand painted to the highest standards. The display base has been etched with the map of Middle Earth and includes the Lord of the Rings logo, the character's name and sculptor's signature.